MongoDB 3.0 features performance and scalability enhancements that place MongoDB at the forefront of the database market as the standard DBMS for modern applications. Also included in the release is our new and highly flexible storage architecture, which dramatically expands the set of mission-critical applications that you can run on MongoDB. These enhancements and more allow you to use MongoDB 3.0 to build applications never before possible at efficiency levels never before attainable. The new WiredTiger storage engine in MongoDB 3.0 delivers 7-10x greater throughput for write-intensive applications with more granular document-level concurrency control. This translates to massive performance gains with less hardware for write-heavy projects such as your next IoT, customer data management, social, and mobile apps. We're seeing significantly better write performance and great compression in testing, which will enable us to easily scale with the demands of our traffic and data volumes while also lowering our production costs. MongoDB now supports native compression, allowing you to reduce your physical storage footprint by up to as much as 80%. You have the added flexibility to choose between different compression algorithms to optimize for performance and storage efficiency, depending on your apps needs. With more granular concurrency control and built-in compression, MongoDB 3.0 lets you simplify your architecture, allowing you to do far more with less hardware. The Sailthru team is excited about what MongoDB 3.0 will do for our massive production deployment. In our tests, the compression factor alone will dramatically improve our hardware utilization, saving us immense amounts of money and time. Ops Manager is the best way to run MongoDB. This solution makes routine tasks as easy as pushing a button and eliminates previously manual and time consuming tasks involved in managing MongoDB. You can now deploy, monitor, back up and scale MongoDB with ease. The new automation features of Ops Manager have blown me away! ... Ops Manager will save our operations team many hours. I can't wait to get it into production! Ops Manager helps to reduce the overhead of operating large scale MongoDB deployments by as much as 95% for many activities. A RESTful API means it can be integrated into existing tooling for monitoring, backup and management. 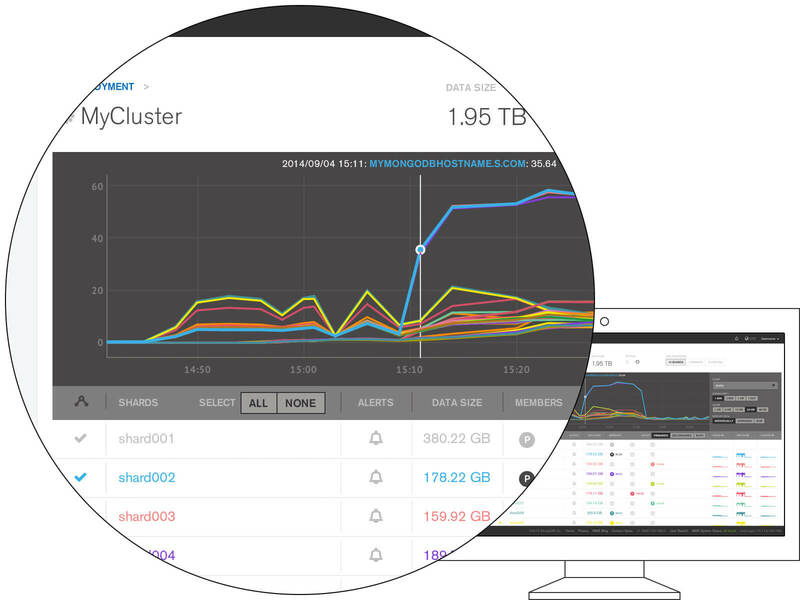 We understand that with an increasingly complex landscape of data-driven apps, a “one size fits all” approach to storage doesn’t cut it anymore. 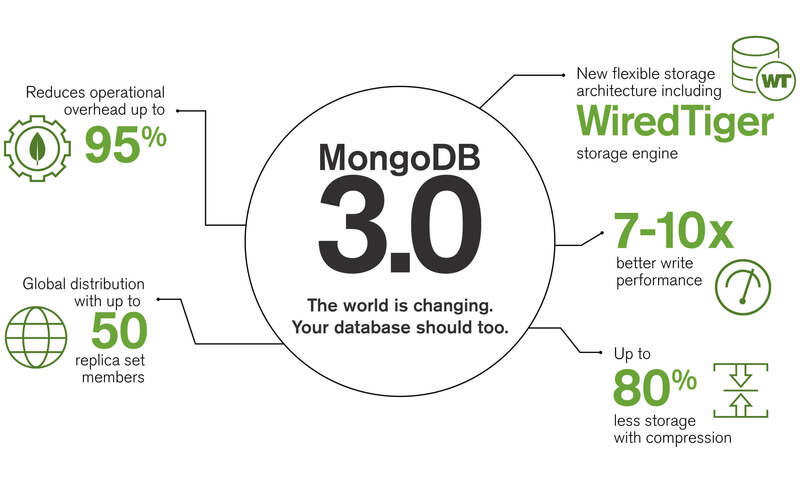 That’s why MongoDB 3.0 includes a pluggable storage engine API to extend the database with new capabilities. We at Parse and Facebook are incredibly excited for the 3.0 release of MongoDB. The storage API opens the door for MongoDB to leverage write-optimized storage engines, improved compression and memory usage, and other aspects of cutting edge modern database engines. With pluggable storage, you’ll be able to choose optimal hardware architectures based on the access patterns and price/performance profiles you need for your different applications. To keep things simple, you’ll also be able to use the same MongoDB query language, data model, scaling, security and operational tooling across all of your apps, even if they’re running on different storage engines. 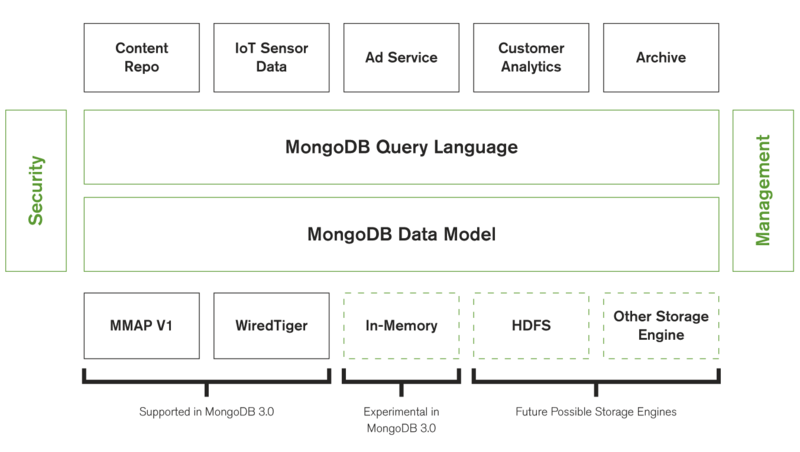 MongoDB 3.0 ships with the new WiredTiger and experimental in-memory storage engines in addition to the default MMAPv1. All storage engines can be run side-by-side in a single replica set, which allows you to easily test and upgrade with no downtime. Today's leading applications are global and serve always-connected audiences that demand instant gratification. With MongoDB, you can now easily distribute up to 50 MongoDB replicas closer to your users all over the world, reducing the effects of network latency and providing a better user experience. Faster Loading and Export.Data can be loaded and extracted at higher speed and with greater efficiency using MongoDB’s revised multi-threaded mongoimport, mongoexport, mongodump, mongorestoreand mongooplog tools. Read more in the MongoDB Package Components documentation. Easier Query Optimization.Better understand query performance with the new explain() method. It is now possible to calculate and review query plans without first running the query. The query plan can be applied to a broader set of query types, and error handling is improved. Faster Debugging.You now have much greater control over the granularity of log messages and specific functional areas of the server to more precisely investigate issues. You can configure which specific components of the database should be exposed for higher definition logging and add severity levels for each log message. 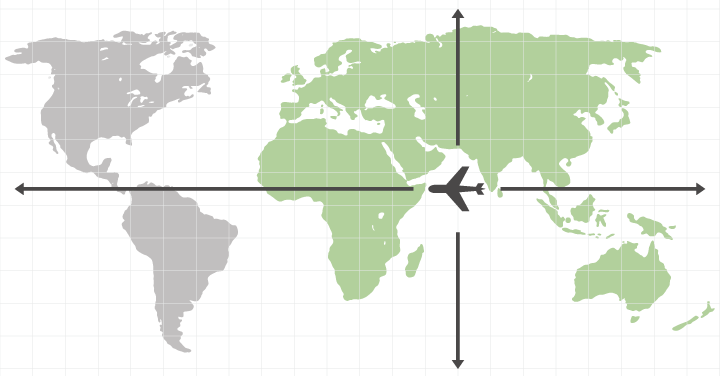 Richer Geospatial Apps.With the addition of big polygon selections, MongoDB’s geospatial support is extended to include multi-hemisphere queries that can span more than 50% of the earth’s surface. For example, an airline can now run queries to identify all aircrafts that have traveled across multiple hemispheres in the past 24 hours. Better Time-Series Analytics.Developers can construct richer time-series analytics queries with less code using the aggregation framework’s new $dateToString operator. MongoDB 3.0 adds to the existing security capabilities of the database with a more robust auditing framework. Auditing now extends beyond capturing administrative actions (i.e. schema operations, authentication and authorization activities) to include the logging of read and write (DML) operations to the database. You can construct and filter audit trails for any operation against MongoDB without having to rely on third-party tools. 3.0 also features the introduction of role-based auditing. Auditing is available as part of MongoDB Enterprise Advanced.